After the Fossil Group launched 40 wearables in its quest to deliver 100 new devices before the end of the year, we now have official details on one of those new editions: the Emporio Armani Connected. 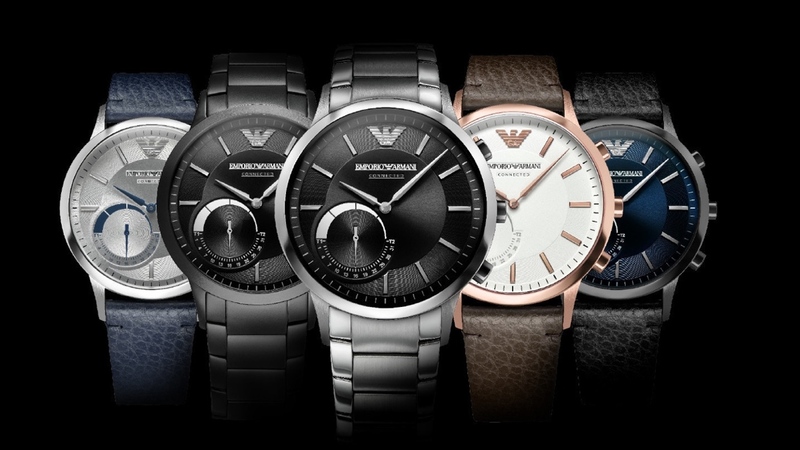 Set to be available in rose gold-tone, black, gunmetal and stainless steel with either a three-piece link or leather strap, the Connected collection aim to stay true to that distinctive Armani watch design. Following in the footsteps of the Skagen Hagen Connected and Fossil Q54 Pilot smart analogue watches, the Android and iOS watches all offer an automatic time zone mode, the ability to set alarms, notification support, activity and sleep tracking powered by Misfit, the ability to control music playback and wirelessly take photos with your smartphone. The Connected line all feature 22mm watch cases and are slapped with 3ATM water resistance ratings so they're splash resistant but not primed for the swimming pool. You'll also spot the secondary progress dial to quickly glance your activity tracking. There's a coin cell battery to keep them powered, so you'll get months of power. The Emporio Armani Connected collection of smartwatches is available now from the Emporio Armani Connected website. Prices start from $245 and go all the way up to $395 for the priciest model if you want to get your hands on one.